Bright and colourful chunky and easy to grip animal pieces. 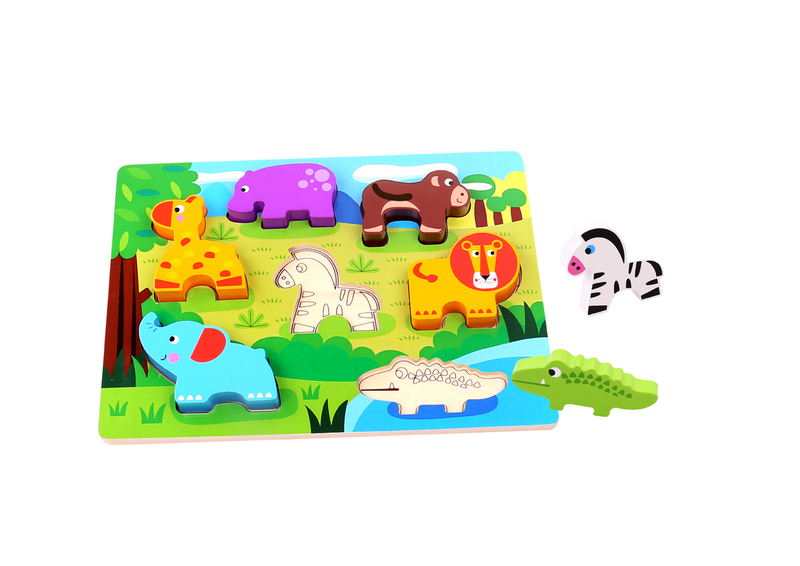 The puzzle pieces can also stand upright for pretend play. Each animal has a outline matching picture underneath. 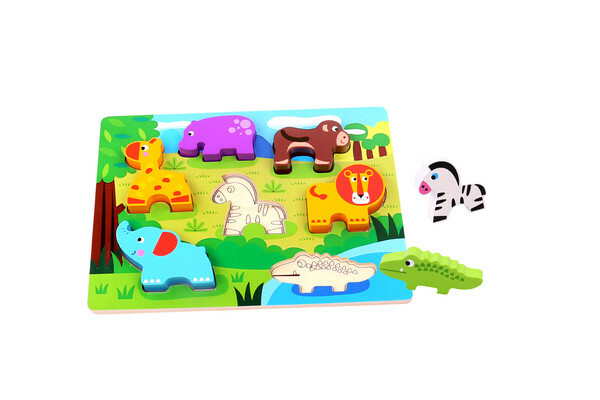 Play with puzzles encourages eye-hand co ordinations , improves fine motor skills and also promotes problem solving skills.